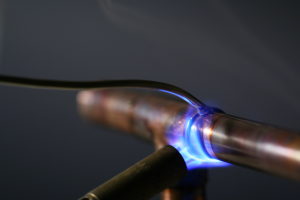 How To Solder Copper Pipe – Read before you attempt to make your own still! If you want to build your own moonshine still but your not sure how to solder it together. Don’t worry this “How to Guide” will teach you the basics of soldering. If you have any questions after reading this guide feel free to leave a comment and I’ll do my best to help. If your looking to solder stainless steel to copper check out my article : How to Braze, Weld and Solder Copper to Stainless Steel this is particularly useful when soldering 2 inch stainless steel tri-clamps, to either a boiler or a 2 inch column still build to be used with a beer keg boiler. 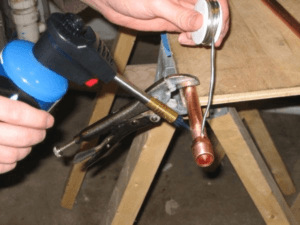 Soldering copper pipe relies on capillary action to draw the solder into the joint and properly seal the pipe you accomplish this using heat from the propane torch. Use Extreme caution when soldering as your dealing with an open flame. Also make sure you let joints cool before handling them. To keep your wife happy make sure you solder your still together in the garage or outside. Trust me she won’t be happy when you burn her counter top. Been there done that! 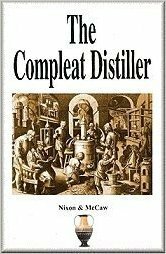 What Type of solder to use when making a Moonshine Still ? You want to make sure the solder your using is lead & cadmium free solder or brazing this is important because you don’t want lead leaching into your moonshine. This would cause your buddies to go blind. You can use plumbers solder found at your local building store and water based flux is preferable. Step 1– Gather everything your going to need. Print off the material list from the still plan your going to build and make sure you’ve got the materials and tools I’ve listed above. Step 2 – Using a pipe cutter or hacksaw cut all copper piping included in your still plan to length. I like to get all the cutting done all at once. Step 3 – Using a strip of sand paper clean the ends of the copper pipe you will be soldering. Make sure to also remove any copper burrs from the inside of the pipe. When your done the copper should be shiny. If you don’t remove the oxidation from the copper the solder won’t adhere properly to the pipe this could cause the moonshine still your building to leak, we don’t want that so clean it well. Step 4 – Use a round wire brush to clean the inside of the copper fittings. Step 5 – Before you solder anything together assemble all the pieces and make sure everything fits correctly. Some adjustment may be necessary. Step 6 – Apply a thin layer of high quality silver tinning flux to all surfaces you will be soldering. Make sure you get the inside of any fittings and outside of all copper pipes. Now reassemble the still. Step 7 – Light up your propane torch. Heat up the joint you wish to solder using the inner flame tip moving it slowly around so you heat up fitting evenly. Step 8 – After 5 -10 seconds touch the tip of the solder to the top of the joint. If the copper is hot enough, the joint should draw in the solder. You should now see solder dripping from the bottom of the joint. If not keep heating. I’ve added a video below as I think it’s easier to learn how to solder copper by watching someone do it rather then reading about it. Now that your an expert at soldering make sure you check out our free moonshine still plans and if you have any questions about how to solder your still together feel free to leave a comment below and I’ll do my best to help!